How can I answer this without being terribly predictable? : ) My inspiration comes from other style bloggers! I am particularly smitten with B. Jones Style. I also fancy the style of Olivia Palermo. I always carry bright red lipstick, my cell phone and my wallet. I am obsessed with shorts & over-sized blouses, bold lips (coral and red are my favourites), statement necklaces, the colour white, punches of yellow and retro sunglasses. I'm a little over puffy shoulders, but it's my fault. I majorly OD'ed on this trend. Oops! I was convinced that I would absolutely love it! I've been into photography for a while and for years I've taken photos for my job as a journalist. I was lucky enough to own a decent camera and became completely smitten with fashion and lifestyle blogs a few years ago. My man is a graphic designer and bought me the domain www.brilliantsugar.com as a gift (which I loved!) and then I got a tripod for Christmas last year ... it all just fell into place! Who takes your photos for you/How do your take your photos? I am eternally grateful to J., my boyfriend, who I drag out to take photos with me on a regular basis. My blogger pal Kate of O My Heart and I swap photo-taking duties too, and earlier this month another blogger bestie Kristin of Doll Parade took my photos. All other times, it's me & a tripod bein' awkward. I am currently looking for simple peep-toe wedges, a leopard clutch, a lace shift dress and a yellow envelope clutch. Disposable clothing! I find myself grabbing cheapo items sometimes just to fulfill one idea in my head ... fast forward six months, and I usually find this item buried in the deep abyss of my closet. At that moment I realize I probably didn't need it. If you could meet one person from the fashion industry/a fashion icon who would it be? I've only been to New York once, but (not surprisingly) I am in love with it. Wow, I love her style! I'll have to check out her blog. Loving that last look! That red looks gorgeous on her! I do like her style. The outfit she has on in that last pic is so something I would wear. She's so darling, and I am absolutely smitten with that last look! I adore Olivia Palermo's style as well! Great interview, love her style! Lovely interview! She has an amazing style!!! ohhh i am such a sucker for a great interview and this one is awesome! thanks! I could use a jacket like hers! 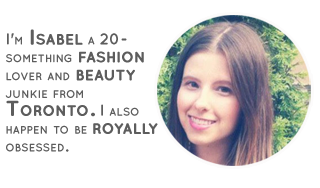 Thanks for sharing, I'm checking her blog while I write this comment and I'm totally blown away by her style! you have good tase too for marking this, and I loved the interview! great post! I have the same problem with buying cheap disposable clothes! I will never learn! I love the red top and black outfit - very cute! She sounds cute. Like me, she makes her man take all of her pictures!! I think i'm in love with her summer wishlist - now that is a look i'd like to wear! Great choice! I love her style! 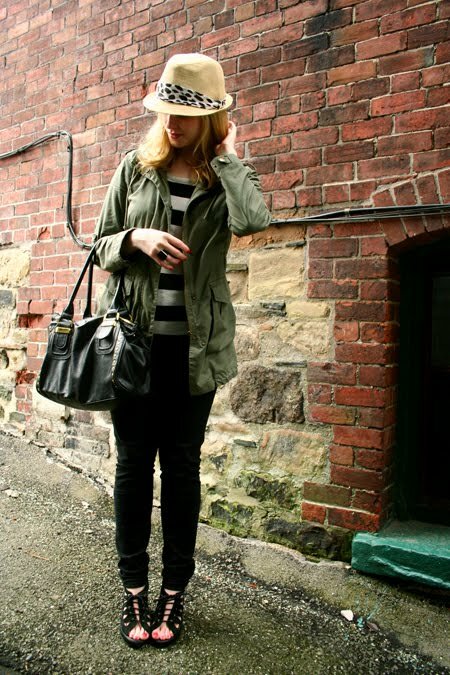 She is super chic, I love her army green jacket!